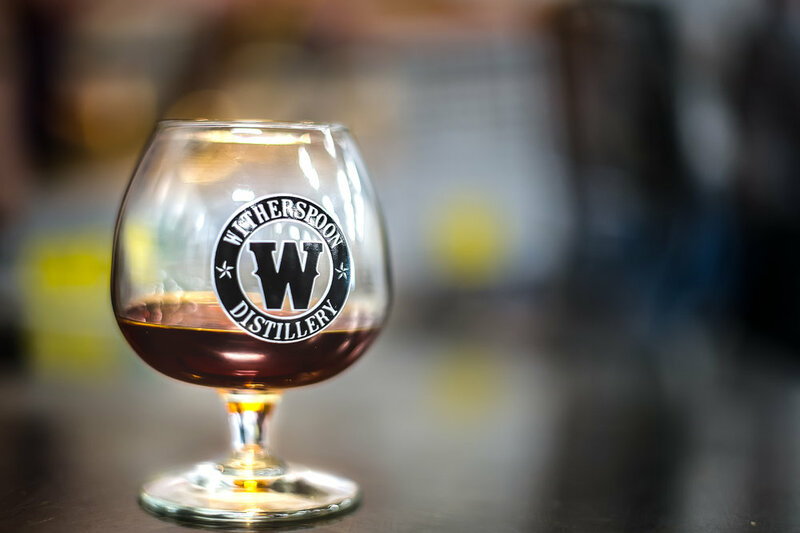 Witherspoon Distillery offers fascinating tours multiple times every week. Your tour guide will provide you with an inside look at the process of making whiskey, from grain to glass. Experience the in's-and-out's of small batch craft distilling from an insider's view. Tours are for guests 21 years-of-age and over. Please note that we have two tour formats which are dependent on the temperature inside of our production facility at the time of the tour. When the temperature inside of the production facility is 95 degrees or higher, we offer our "summer tour". When the temperature is lower than 95 degrees, we will offer our "standard tour". We offer guided tours to the public on Fridays at 4pm and 6pm, and Saturdays at 11am, 1pm, 3pm, 4pm (winter only) and 5pm. Each tour lasts approximately 60 minutes and includes a spirit tasting. For the differences in our standard and summer tour, please see tour booking information here. Please also note that we generally have our production equipment shut down for the weekend, especially in the summer, given the additional heat that is created by our stills. We also have a large craft cocktail bar, lounge and outdoor whiskey garden where you are welcome to stay and relax as long as you'd like. Our bar, lounge and garden are all family friendly, but unfortunately, due to permitting, we are unable to allow pets (service animals are allowed). No reservations are required for relaxing without a tour, but please be sure to check our Calendar of Events to verify your selected date of attendance is open to the public. Looking To Host A Private Event Instead? 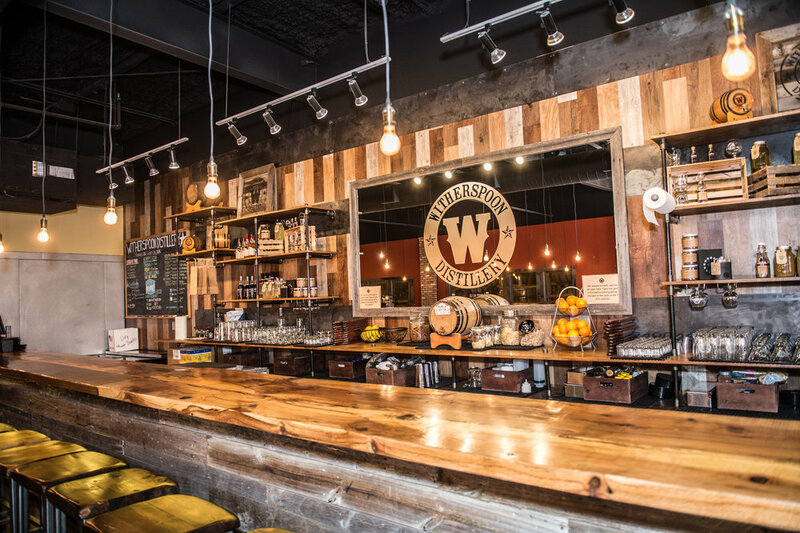 Witherspoon Distillery has the available option to host Private Events for large groups looking to entertain guests for a fun-filled evening. Provided in the group events are the options to include your guests on private tours of Witherspoon's Production Room, Barrel Room, and sample our delicious bourbon and rum cake.